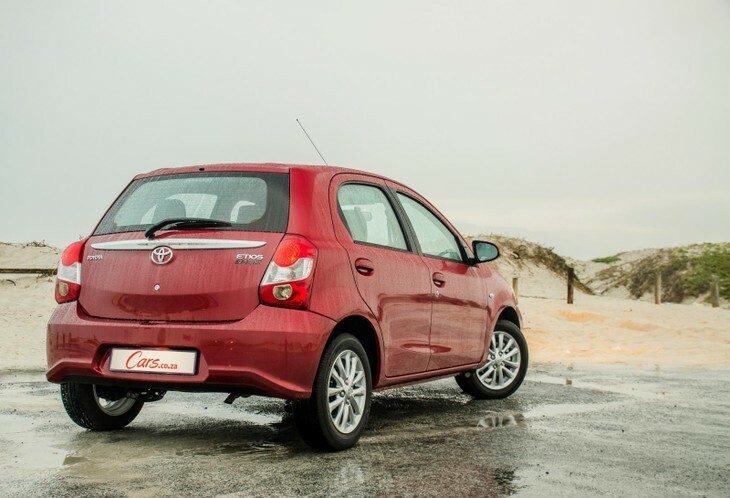 Toyota South Africa Motors recently updated its compact hatchback offerings with the introductions of the Yaris Pulse and Etios Sprint derivatives. 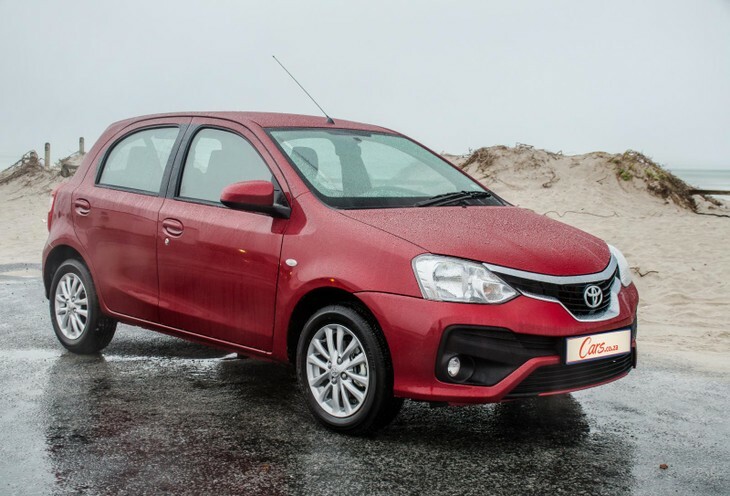 The Etios is well established in the market and buyers know what to expect of the Indian-made car, however, it now offers distinctive styling that offers standout appeal that sets it apart from other budget car offerings. Is that enough to set it apart from the rest, however? The default choice (for many). If you weren’t one of the nostalgic buyers to net a limited edition 1.4 CitiVivo, the long-serving Volkswagen Vivo 1.4 Conceptline offers affordable build quality with proven mechanicals. Its standard spec includes air-con, an audio system with Bluetooth, auxiliary and USB ports, remote central locking, ABS and dual front airbags… but that’s about it. For a run-out bargain. Although Chevrolet will soon exit the market as a result of General Motors’ withdrawal from South Africa, the top-of-the-range Spark 1.2 LT represents excellent value. 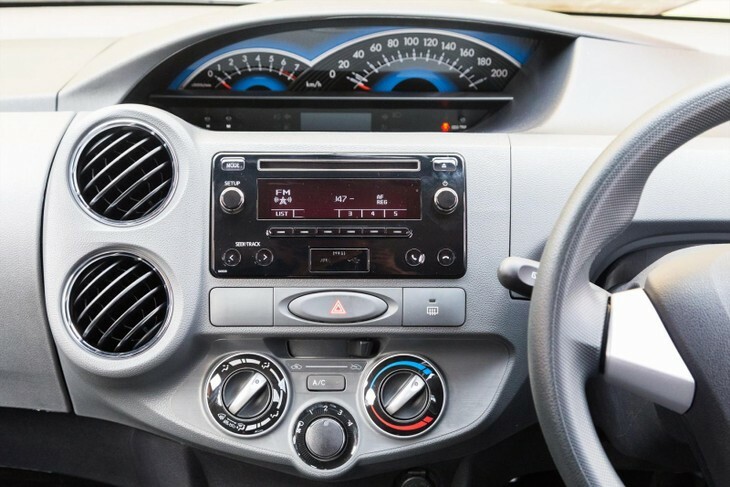 Backed by a 5-year/120 000 km warranty, the Spark has 4 airbags, an audio system with Bluetooth aux and USB ports, a multifunction steering wheel, 15-inch alloys and rear PDC. A service plan is optional. A surprise package. Although Indian manufacturer Tata’s products once offered marginal quality, the top-spec Bolt 1.2T XT is a revelation. Backed by a 5-year/100 000 km warranty and a 2-year/30 000 km service plan, the spacious Tata has a reasonably perky 1.2-litre turbopetrol engine and comes with nice-to-haves such as climate control and a full-colour touchscreen infotainment system. 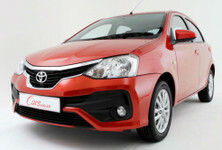 The Etios' front end has received a significant makeover, the recessed grille and expansive black inset are eye-catching. 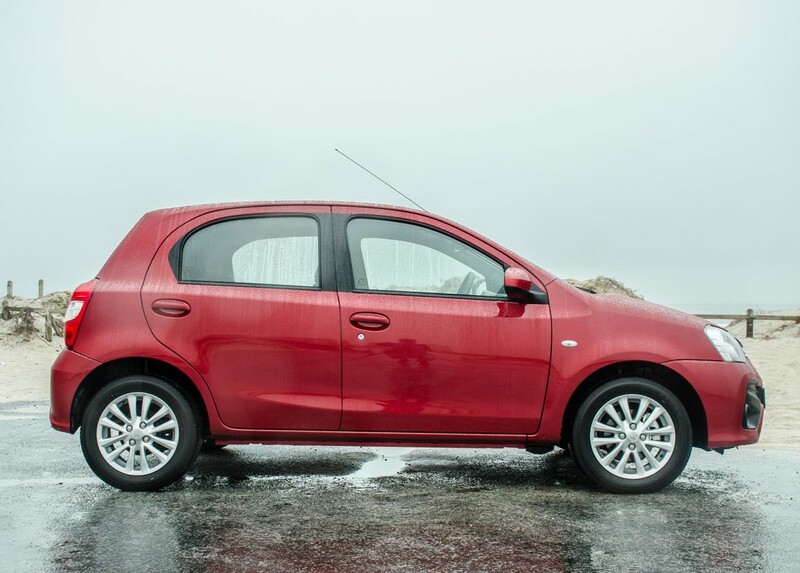 The Indian-built Toyota Etios has become a firm favourite in the South African market… For those who need more practicality than what the diminutive Aygo city car can muster, the Etios represents the entry point to the much-respected Toyota brand and has proved a hit with fleet operators (especially in sedan guise) and private buyers alike. 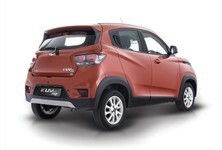 The model has undergone a number of detail changes since its first introduction in 2012, but apart from the off-road-inspired Cross derivative, all the derivatives have looked the same. The 1.5 Sprint (in Toyota parlance, the Sprint moniker has always denoted a sporty look, as opposed to a performance version) slots into the middle of range; it replaces the previous mid-spec Etios 1.5 Xs. 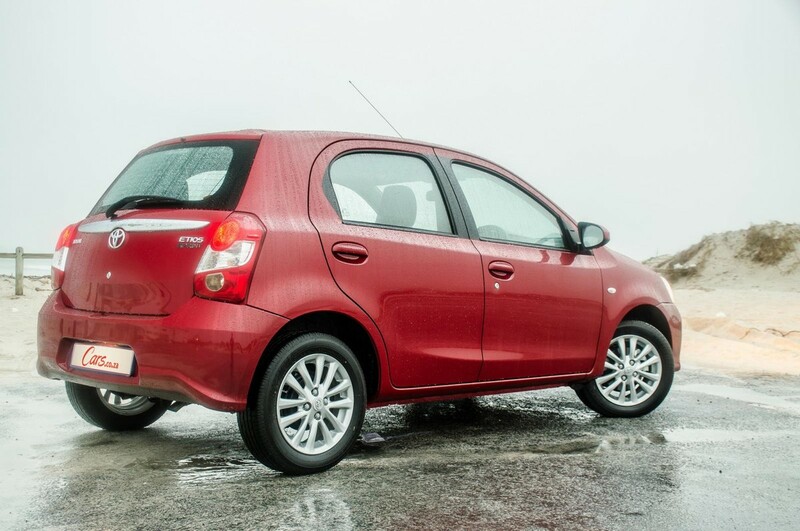 The Etios is not the most elegant of hatchback designs; its wheel-at-each-corner stance is exacerbated by the hatchback's relatively high ride height. However, the 1.5 Sprint has shed some of its inoffensiveness and gained aesthetic appeal courtesy of a redesigned bumper with large air dams and integrated fog lamps, plus a wing motif grille (replete with a broad chrome strip). Apart from a reprofiled rear bumper, the newcomer is further differentiated with new twin-spoke 15-inch alloy wheels and a carbonfibre inspired "Sprint" badge. Although kerb appeal is not one of a budget car's major performance areas, good looks help and as such, the 1.5 Sprint is certainly the best looking Etios to be launched in South Africa. The handsome 15-inch alloys and shapelier rear bumper add some boutique appeal to a stalwart of the budget hatchback market. Perhaps mostly by virtue of its low kerb weight (930 kg), the 1.5 Sprint never quite feels pedestrian/underpowered. Although the motor's outputs aren’t particularly lofty (66 kW/132 Nm), the motor delivers fair overtaking ability on the freeway and the 5-speed manual transmission shifts smoothly and positively. 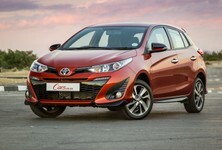 Even on steeper sections of road, the Toyota shows few signs of labouring in 5th gear, which is a bonus in a budget car. 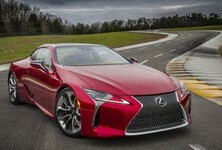 Suffice to say buyers should find the Sprint’s performance adequate in both urban and open road scenarios, but we must add that with 4 passengers and their luggage aboard, in the thinner atmosphere of the Reef, which saps some engine power, the 1.5 Sprint will perform in a more workmanlike manner. 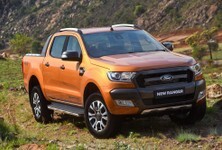 More conservatively-minded buyers will welcome the natural aspiration of the engine (a turbocharger would add complexity and cost) and the 6.0 L/100 km fuel consumption claim is fair. 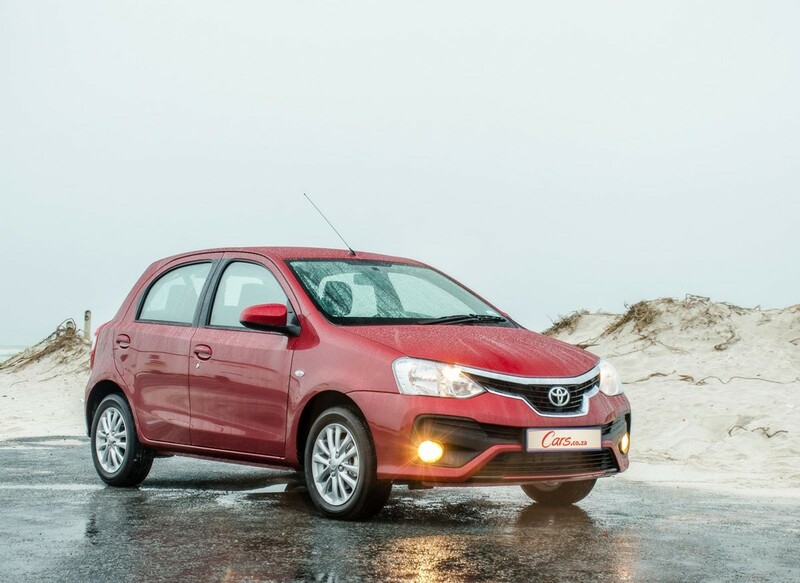 The Etios has always been renowned for its loping gait... its suspension soaks up road imperfections well, which is a boon in a country where there are myriad road conditions, depending on which routes you traverse. 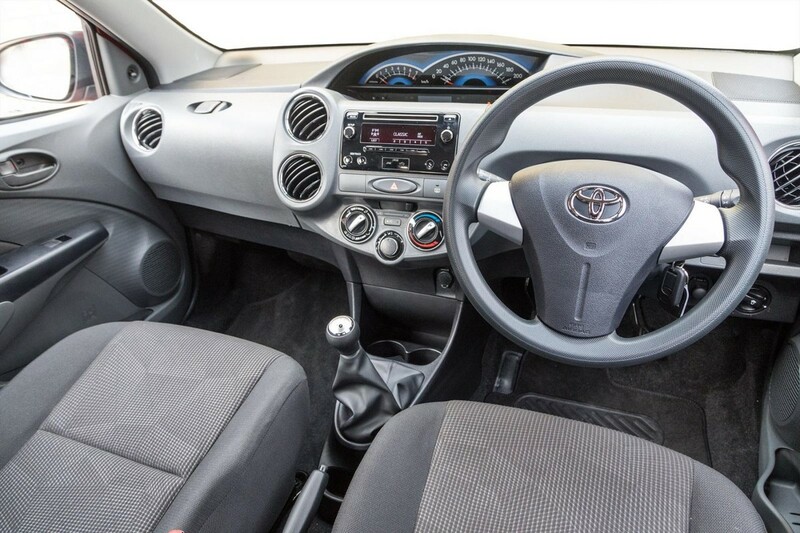 The car's interior certainly seems a tad quieter at cruising speeds too, which suggests running improvements to the Etios production methods and the application of more sound-deadening materials. Even the interior plastics, which are pretty shiny and anything but soft-to-the-touch, fit snugly and the panels emitted no rattles or creaks. Although the central instrument cluster still looks cartoonish, the integrated audio unit is much more sophisticated than it looks. Although the 1.5 Sprint does not come with a multi-function steering wheel or a colour touchscreen audio system, don't judge the piano-black-finished monochrome screen on its drab appearance. It incorporates auxiliary and USB ports behind a discreet flap and offers Bluetooth telephony and audio streaming, of which the latter features are very simple to set up. That means skipping over tracks on your playlist or answering/ending a phone call requires only prods to the chunky buttons on the audio screen, which is not an inconvenience, is it? Furthermore, electric windows all round are a bonus (having window winders in the rear is the norm), the remote fuel flap and hatchback release levers at the foot of the driver's seat are handy and, oh yeah, there is a central locking button too, which is located on a console to the bottom right of the steering wheel – it's a strange place to put it, but at least it is there. Although the Etios remains a strong value package and appears reasonably well-made, there are a few aspects of the Toyota that are irksome. The most obvious disappointment is the gaudy black-and-blue centrally mounted rev counter/speedometer cluster, which looks as though it has been lifted from a cheap children's toy, then there is separate ignition key and central locking fob, which is very old fashioned, the hatchback has to be opened with the ignition key and, finally, the parcel shelf is suspended from the tailgate by a single thin strap only. 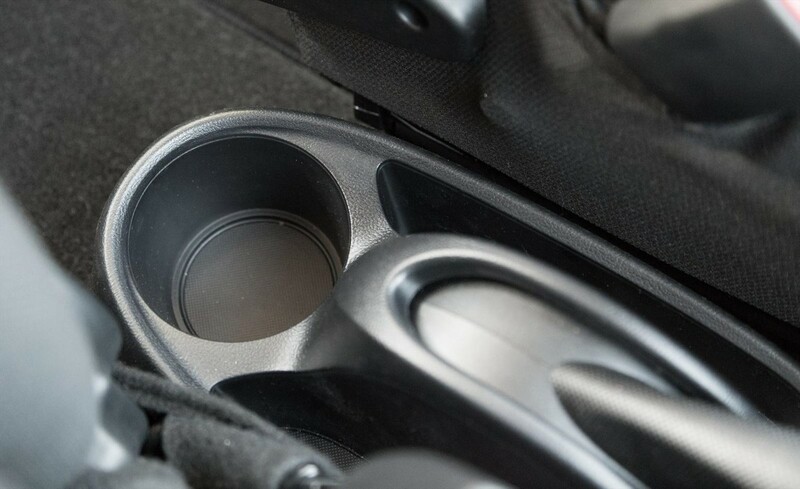 With the 60/40 split rear seatback folded down, there is a lot more utility space. A full-sized (steel) spare wheel is provided. Considering that the 1.5 Sprint is an urban runabout, which offers an acceptable ride/handling balance, reasonable performance as well as economy (a dream combination for a budget car, to be fair), we did find it surprising that the Etios has a larger-than-expected turning circle (perhaps it is exacerbated by the 15-inch alloys and less-than-speedy steering ratio). 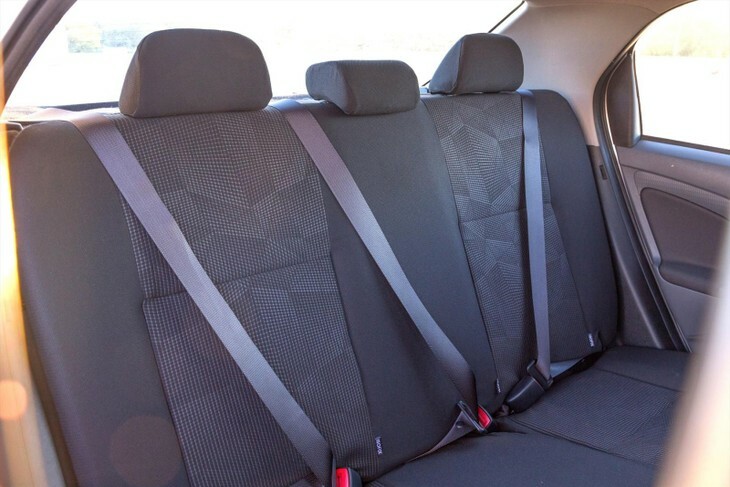 The rear bench benefits from standard headrests and three full safety belts, which should please family car buyers. For a private (read: non-fleet) buyer, the 1.5 Sprint 5-door is arguably the pick of the range. 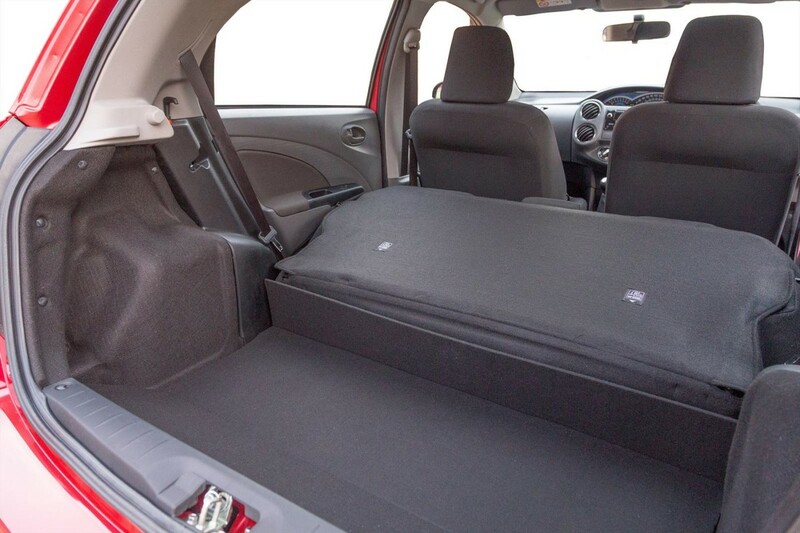 Like its predecessors, the Etios provides a commendable combination of performance and efficiency, plus pliant ride quality allied with predictable handling. It may not offer the most luggage capacity, but its loading space is acceptable and the rear seat legroom, plus headroom all round is excellent. On the downside, its utilitarian (if reasonably-equipped) interior is showing its age and there is little in the way of upmarket finishes, plus the product's warranty period is mediocre and the service intervals are short. It is what it is. However, there is still an element of plucky charm to the 1.5 Sprint and it does not have any major faults. 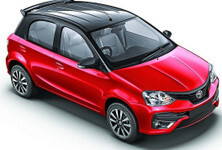 For those who seek practicality from their budget vehicles, the Etios still presents a strong proposition, but with the next generation Volkswagen Polo in the works (and, critically, an upgrade to/replacement for the Polo Vivo expected to follow shortly thereafter), a much-improved Tata Bolt already available and an all-new Suzuki Swift not too far away, the Toyota has its work cut out. The budget B-segment hatchback market is about to heat up.... and the Etios 1.5 Sprint is merely an (albeit very satisfying) appetiser. Interested in buying a Toyota Etios?